Julia: Upon drinking the cider, there is an ever-so-slight tingling sensation on the tongue from the carbonation. Shortly thereafter, a sweet grape flavor with a hint of tartness comes through, and that remains the dominant flavor for the remainder of the sip. As the sip draws to a close, some acidity becomes noticeable, as does some very slight bitterness. The aftertaste consists of grape with a hint of citrus. 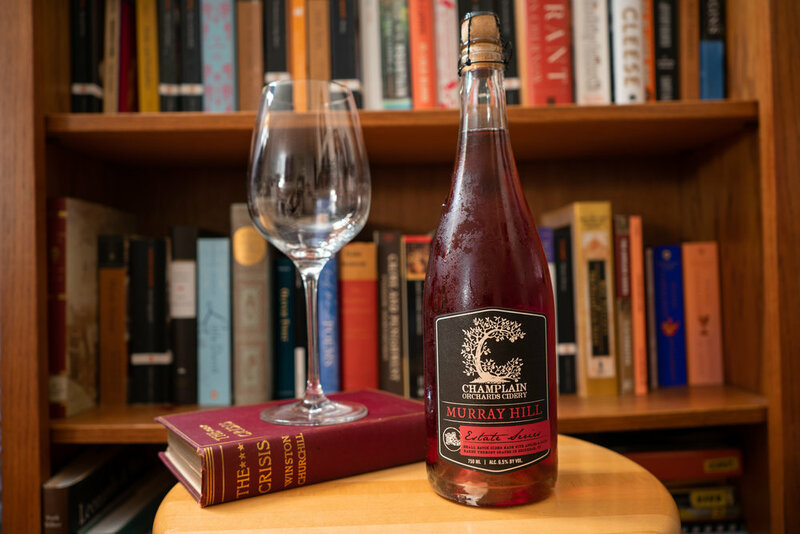 Ramsay: When I first took a drink of Murray Hill, I immediately noticed a grape flavor akin to wine, albeit sweeter and lighter. That flavor lingered but gave way somewhat to a tart apple flavor. As the sip came to an end, a lemon flavor, as well as a slightly bitter taste, came through. That bitter taste continued into the aftertaste along with the grape flavor. Overall, I quite enjoyed this cider and liked its unique grape flavor. It had just enough sweetness and acidity to result in a pleasant, semi-sweet profile. Due to its fairly light body and semi-sweet character, this would be a great introductory cider for someone new to the world of craft cider. That said, I might not have multiple glasses back to back, as it does become slightly sweeter tasting with each successive sip. Overall, I enjoyed Murray Hill. I liked the infusion of grape into the cider; it gave the cider a pleasant, wine-esque quality and sweet flavor. Some sips were sweeter than others, but I would still pick this up again if I saw it in stores.